In many respects, Panasonic has produced the perfect compact camera for travelling photographers who are looking for very high image quality but also want the flexibility of a zoom. Up until this point we have been very used to seeing one-inch sensors, but it has taken until now to produce a truly pocketable compact camera which has both a large sensor and a long zoom. Panasonic is pretty right when it says that it has created an entirely new segment of the market, and it's a very welcome one indeed. There's lots of great features about the Panasonic Lumix DMC-TZ100 too, aside from the large sensor and focal length. It's also got a viewfinder, which is small but useful, a touch sensitive screen and inbuilt Wi-Fi which works well together with a free app to download. Image quality is fantastic, with lots of detail, great colours and a good range of creative options to experiment with. Images taken at the higher end of the ISO run in very dark conditions are a little less than perfect, but it's comparable with other one-inch sensors of its kind. In short, there's not much to dislike about the Panasonic Lumix DMC-TZ100. If we have to pick a problem, it would be nice to have a movable screen, and the viewfinder's small size means it's unlikely you'll want to use it for every single shot. It would also have been nice if a grip had been included on the front of the camera to make it feel just that bit more secure - something which is all the more vital with an expensive piece of kit. At the moment, the TZ100 is listed as costing a little more than the Panasonic LZ100. If you can live with a shorter zoom, you get an even larger sensor (Four Thirds), and a lens which has a wider maximum aperture range, for a little less money. This translates into better low light performance, but of course it's not quite as flexible. 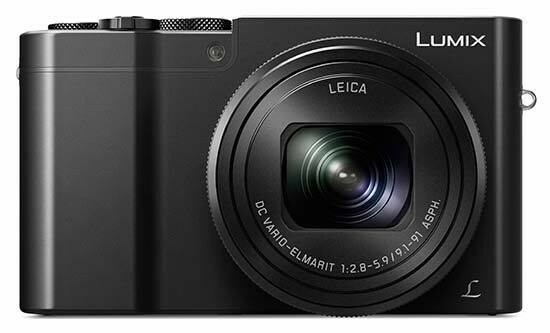 Panasonic has upped the ante for the other camera manufacturers when it comes to their premium compact camera offering. While Sony and Canon, and now Nikon, have some very interesting one-inch sensor compacts, none of them have this level of zoom, and arguably none of them have such a well-rounded set of specs (viewfinder, touch-sensitive screen, Wi-Fi) as the Panasonic Lumix DMC-TZ100, either.